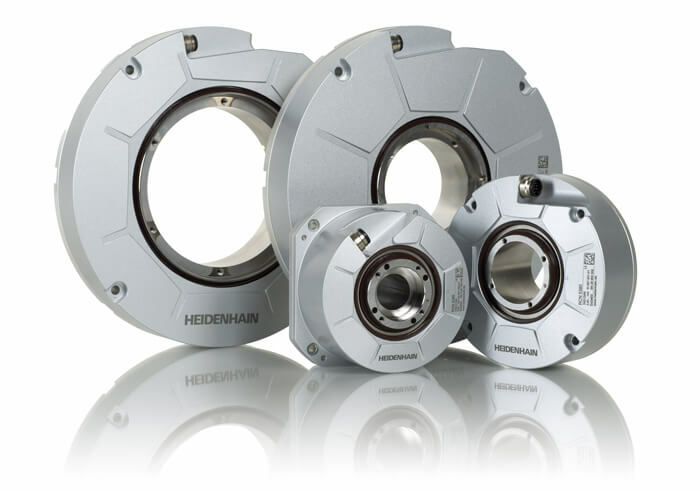 HEIDENHAIN’s angle encoders with integral bearing have long been the standard for applications where angular measurement in the range of a few angular seconds is necessary. The encoders are characterized by their simple mounting and very high accuracy. Particularly on rotational axes in machine tools, such as rotary tables and tilting axes, they are the best solution for position and speed control. HEIDENHAIN has now developed a new generation of absolute angle encoders with integral bearing based on the field-proven encoders. The goal was to retain the positive properties of the angle encoders while at the same time adding numerous new and useful features. So that the new encoders can be used in existing machine designs, it was ensured that their dimensions are compatible to those of their predecessors. Comprehensive analyses and simulations were necessary in order to set another milestone in angular metrology. The knowledge thus gained resulted in a new generation of angle encoders that is completely different from the previous generation: not a single component remained the same. The new, absolute RCN 2000, RCN 5000 and RCN 8000 angle encoders have shafts ranging from 20 mm to 100 mm in diameter, and are characterized by numerous outstanding properties regarding scanning, design and signal interface. The new angle encoders of the RCN series operate with two graduation tracks. The absolute position data on the circular scale is encrypted on one track and never recurs within the same revolution. The additional incremental, higher resolution track is scanned according to the single-field scanning principle. The scanning signals of the incremental fine track are interpolated for the position value and are processed together with the information from the serial code track to obtain absolute position values of high resolution. This enables, for example, the RCN 8000 to measure to a resolution of more than 536 million positions per revolution. Thanks to the special optical filtering of the innovative scanning components, the encoder produces scanning signals of very high quality. Test results with the new RCN encoders show that the position accuracy relevant to feedback control, often described as position error within one signal period, is typically superior to the absolute angle encoders of the respective previous series by a factor of three. The optimized scanning now makes it possible to specify the subdivision accuracy values as better than ±0.5% (the value for the previous RCN encoders was ±1%). Particularly on direct drives, the high signal quality has positive effects on the control behavior and results in noticeable quality improvements of the finished workpiece surfaces. Although the angle encoders with integral bearing are sealed and feature the IP64 degree of protection, the contamination risk was to be reduced further to the point that this risk could practically be excluded. This goal was met with single-field scanning, which is characterized by its improved signal quality and a significantly reduced sensitivity to contamination. This has been achieved through large scanning windows and the special arrangement of the scanning fields. Even relatively large contaminated areas result only in slightly weaker scanning signals and somewhat increased signal deviations. In many cases, depending on the contamination, this can even prevent encoder failure where four-field scanning, which up to now was used in the angle encoders with integral bearings, cannot. The results of testing with the angle encoders are also confirmed by positive experience with linear encoders, which have been using this scanning principle for some time now. To be able to meet the growing demands for better performance on machine tools, design engineers are increasingly using rotational axes that distinguish themselves through high accuracy and high rotational speed. They are intended, for example, to make it economical to run milling and turning operations on the same machine. The new, absolute angle encoders fulfill these demands as well. The single-field scanning and the new scanning and evaluation electronics made it possible to dramatically reduce the influence of the rotational speed on the generation of position values. This ensures that, even at high speeds, the scanning signals have a high signal quality and continue to interpolate well. 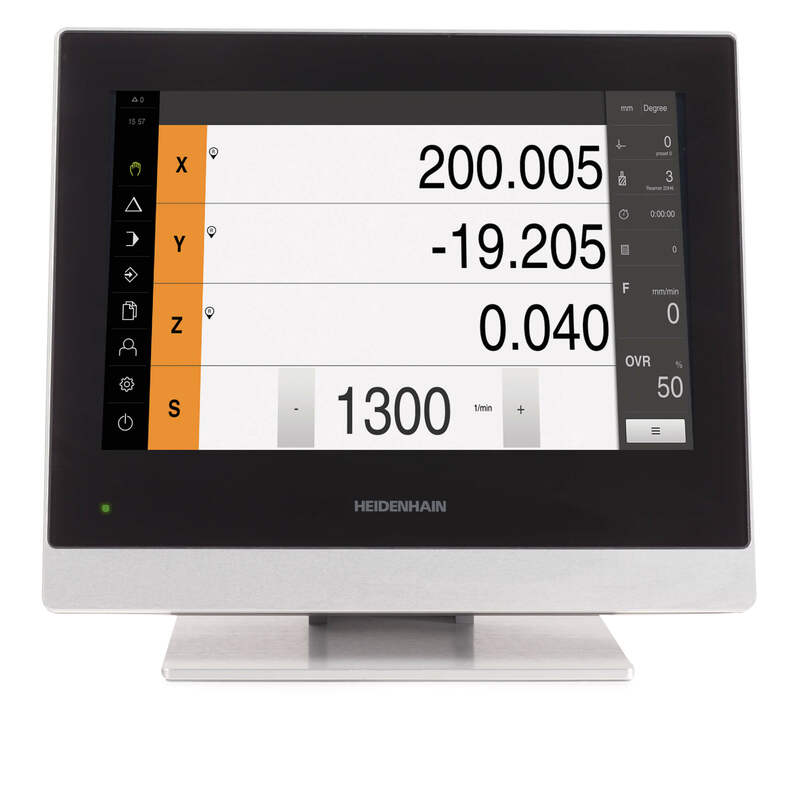 For example, the RCN 2000 with its purely serial interface achieves speeds up to 3000 min-1. The simple mounting of the new angle encoders is also impressive. Unlike the modular angle encoders, which usually consist only of a scanning unit and a graduation carrier, the hollow-shaft angle encoders with integral bearing feature an integrated stator coupling. In this way it is ensured that the components involved in scanning are ideally aligned to each other, even if there are deviations within the defined mating tolerances of the shaft coupling. Radial and axial error in the measured shaft is assimilated in the stator coupling so that the coupling remains free of torsional rotation. The new stator coupling, conceived and developed for the RCN encoders is characterized in its axial and radial deflection and torsional rigidity by excellent behavior and operates virtually without angular error. This permits relatively generous mounting tolerances without limiting the function or accuracy. For example, together with the encoder sealing technique, which is also new, it can tolerate deviations in axial direction of up to ±0.3 mm. The new angle encoders have an even more impressive set of design details. The encoders feature a plug-in cable assembly. Because the separate adapter cable has a quick disconnect (push-pull design), mounting the plug-in cable assembly to the encoder is very simple. No tools are needed. At the same time, the connecting element has a high leak tightness of IP67, preventing ingress of liquids through this connection. The advantages of the plug-in cable assembly are particularly evident when a cable has to be routed through a tight installation space during mounting. 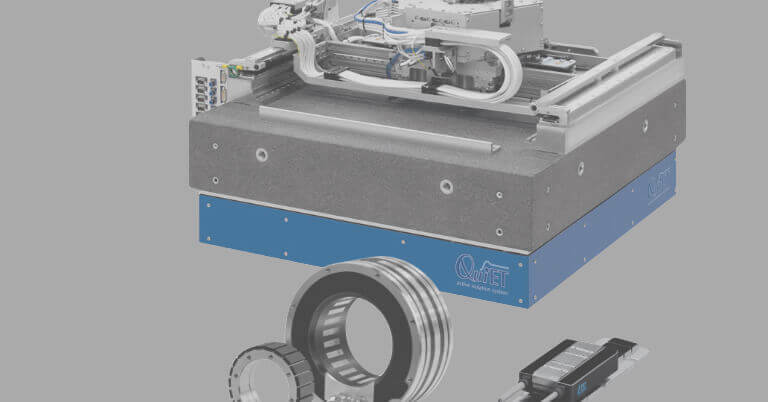 The machine tool manufacturer is also more likely to have the encoder on hand because it can be ordered separately and stocked without regard to a specific cable length or type of connecting element. The RCN 5000 series consists of angle encoders with compact overall dimensions but large hollow shafts. With a hollow shaft diameter of 35 mm, the cross-section of the RCN 5000 encoders is over three times larger than that of the RCN 2000 encoders, whose hollow shaft only measures 20 mm. This means that there is more room for stiffer machine shafts and hydraulic leads, which are frequently led through hollow shafts. The bidirectional EnDat interface enables the encoder to configure itself during installation without additional transmission lines, since all encoder-specific information such as resolution, ID number, etc. is stored in the encoder and transmitted to the subsequent electronics via EnDat. In addition, it is possible to extensively monitor and diagnose the encoder. For example, the encoder generates warnings when it nears certain tolerance limits before it transmits any incorrect position values. Valuation numbers can be read from the encoder cyclically for diagnostic purposes. The valuation numbers provide the current state of the encoder and ascertain the encoder’s “functional reserves.” The monitoring and diagnostics can be used to signal the need for preventive maintenance, and can prevent unnecessary maintenance cycles. This increases machine availability. Cables with M12 connecting elements at the ends can also be used with the purely serial EnDat interface. This enables you to replace the previously common M23 connectors with smaller connecting elements. The benefits of a purely serial interface can also be used for safety-related applications. Safety-related applications require axes with redundant position information. 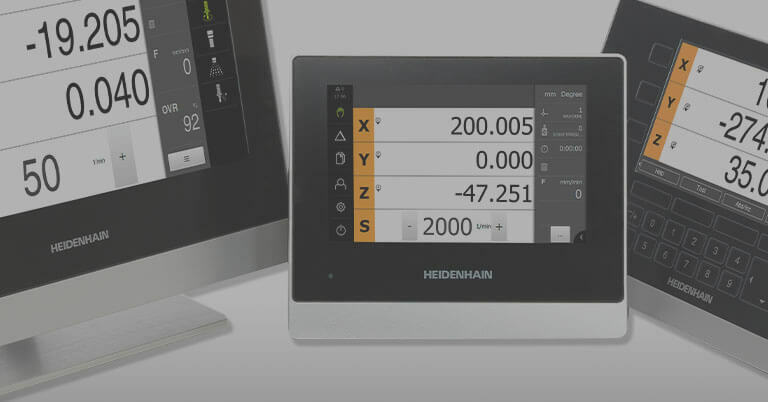 To obtain independent position values, HEIDENHAIN has decided upon a single-encoder design because two encoders per axis would be both more expensive and unnecessary. 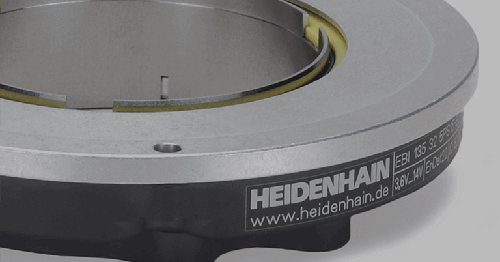 HEIDENHAIN is currently the only manufacturer who can offer purely serial single-encoder solutions for safety-related applications. For the single-encoder version, two independently generated, absolute position values are provided to the safe control (e.g. the iTNC 530 HSCI from HEIDENHAIN) via the EnDat protocol. This makes it possible to realize a purely digital machine with safe absolute positions. In addition to the data interface, the mechanical connection of the encoder to the motor is also relevant to safety, since it is not guaranteed that such faults can be detected by the control. 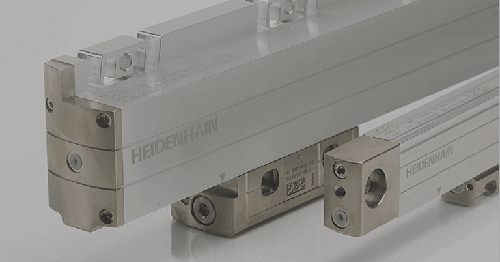 Therefore HEIDENHAIN secures the encoders with special methods that fulfill the requirements for excluding the possibility of the mechanical connection coming loose. The new RCN encoders with functional safety will be available soon. They can be operated as single-encoder systems in combination with a safe control in applications with control category SIL-2 (according to EN 61 508) or performance level “d” (of EN ISO 13 849). They form a qualified subsystem within the larger “safe drive” system. 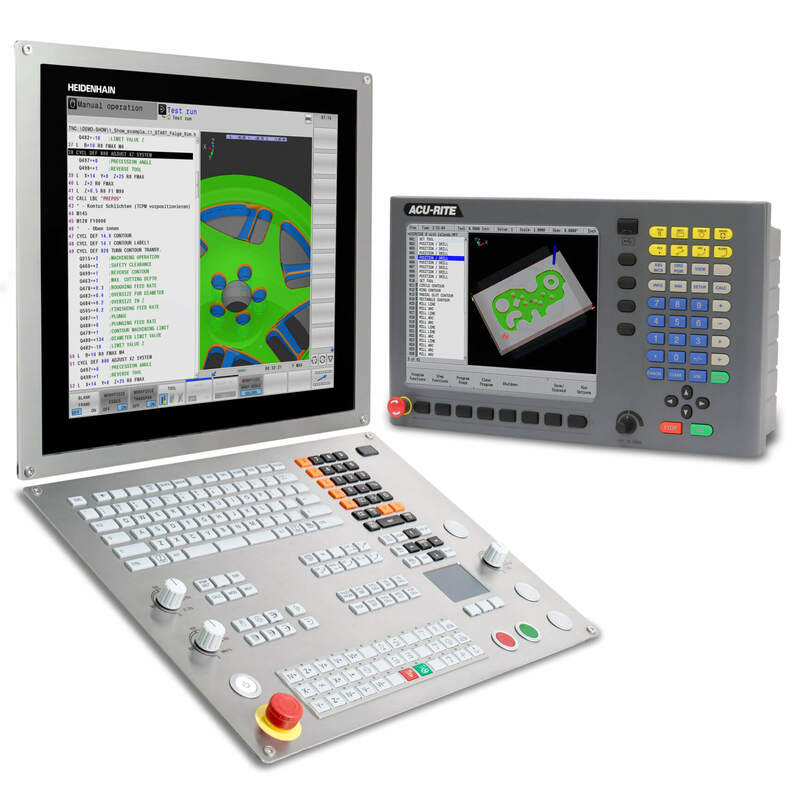 It greatly simplifies the evaluation and realization of safety-related processes for the machine tool builder. This makes a simple, purely serial solution possible, especially for axes with direct drive. The new series of angle encoders with integral bearing distinguish themselves with numerous impressive characteristics. 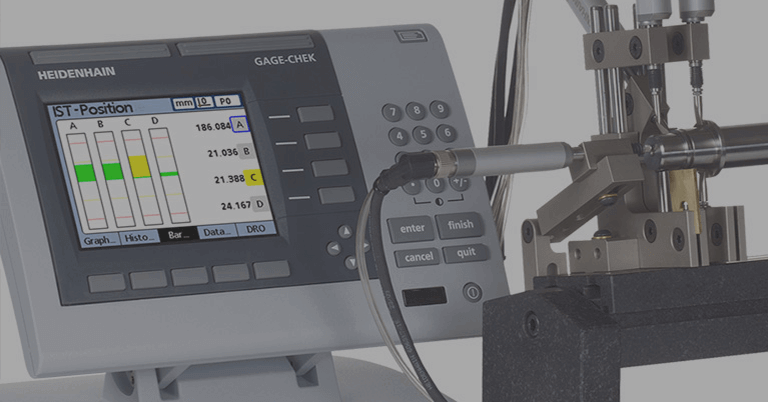 Thanks to the new scanning process, the signal quality is improved once more, the tolerance to contamination is optimized, and higher shaft speeds are permitted. The relatively large mounting tolerances and the plug-in cable assembly help make mounting much easier. 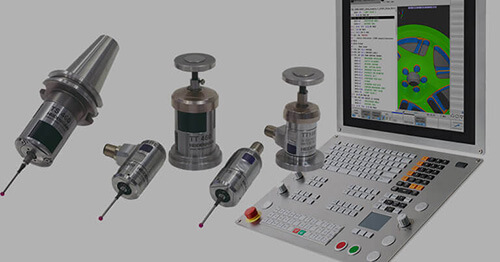 The EnDat interface with its diagnostic capabilities enables preventive monitoring of the encoder without requiring an additional transmission line. Encoders with purely serial interface can also be installed as qualified subsystems in safety-related applications. There is also the new RCN 5000 series, whose hollow shaft with a diameter of 35 mm is impressive considering its compact outside dimensions. The RCN 5000 will prove to be the proper angle encoder for a multiplicity of applications, and will likely even replace many absolute angle encoders with a hollow-shaft diameter of 20 mm.